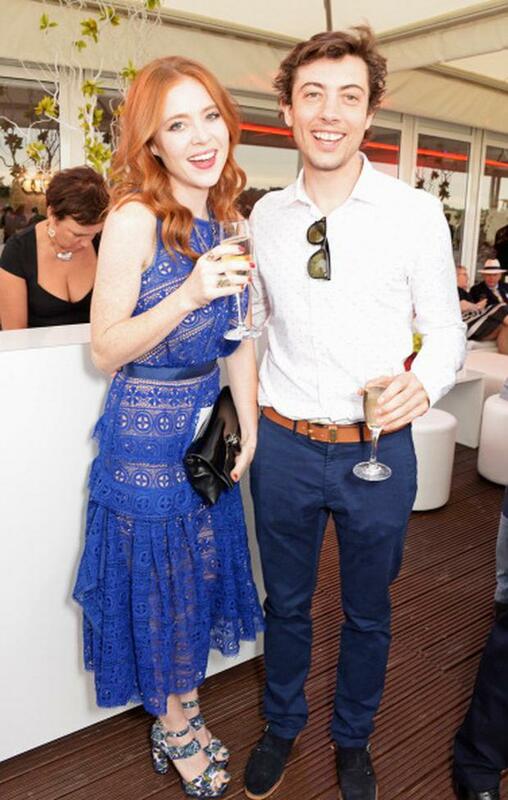 Newlywed Angela Scanlon has the secret to a happy marriage cracked already - lots of solo global travel. The bubbly redhead is run off her feet fronting RTE travel show Getaways, but she said married life couldn't be going any smoother. "I was speaking to someone who said the key to a lasting marriage is lots of travel - separately," she joked. Globe-trotting comes with the job description now for the 29-year-old who already divides her time between London and Dublin. "It's very over and back at the minute, we get a week together and then I'm off again but it works," she told the Diary. Stylist Angela wed businessman Roy Horgan (below) in June and even had to cut her honeymoon short for work. But the busy Meath native is loving every minute working away in her dream gigs. Angela nabbed the jet-setting presenting role alongside Joe Lindsey when Aoibhinn Ni Shuilleabhain quit the series. "I've been loving every minute - it's so busy but I'm also getting to have a ridiculous amount of fun." "Maybe I'm slightly oblivious to it but I haven't felt any pressure because I've been allowed tackle a great mix of subjects that I'm really interested in," she said. Although she's now happily wed, the patter of tiny feet is not on the immediate horizon for the loved-up couple. "I 100pc want children down the line. I'd love to have kids but for the minute I have him babysitting my niece and that's about it," Angela revealed. "It's been on the tip of everyone's tongue since we got married," she added.